Establish an excellent communication network with the rest of the European Union nations through Romanian transcription services. Romania is a member nation of the European Union located in Southeast Europe and bordered by co-EU member nations including Moldova, Bulgaria, Hungary, Serbia, and Ukraine. It has a current estimated population of over 19 million people, ranking the country as the seventh most populous nation-member of the European Union. The early developments of Romanian language can be rooted from the use of Latin language which was significantly influenced by other forms of languages including Dacian, Balkan, and Slovic. Romanian is native to Romania, Moldova, and Transnistria spoken by over 24 million people. Romanian speakers are scattered across many other countries such as the United States, Mexico, Australia, Argentina, Greece, and many others. Romania mandates the use of Romanian in formal education for public schools, government contracts, and publications. It has been the national language used in businesses, medical, and finance industries. To facilitate all these communication needs, our Romanian transcription services can provide the necessary solutions. We assure clients that our Romanian transcription rates are reasonable and fair regardless if you have bulk orders and rush services. Our Romanian transcription rates are a sure fit to complement all kinds of budget needs. We provide the necessary breakdown of prices to notify our valued clients how we evaluate a particular project. 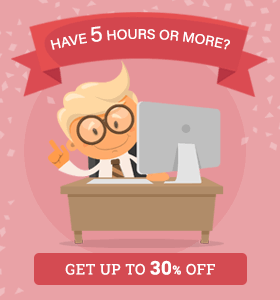 With all the great service features we have, you get outstanding Romanian transcription at your price. Enhance your level of competence through our Romanian video transcription. With the advent of internet technology, information becomes a necessity for many people and major industries today. We strongly engage in providing error-free Romanian video transcription coming from any video sources like commercial ads, educational videos, recorded conferences, and more.We enforce a strict monitoring process to ensure clients the best quality from our transcriptions. This makes us totally stand out among other service companies at present. We know how important it is to acquire key topics and information quickly from an interview transcription. That is why our Romanian interview transcription is made fast, reliable, and most of all, certified. Regardless how long it will take us to transcribe an audio content, what is more important for us is to exceed your service satisfaction from our Romanian interview transcription. Inquire today and discover how we make impossible things happen.